When saving for our first home, we’re always told to save 20% of the home selling price to use as a down payment. Unfortunately, when meeting with a lender to get your mortgage, you’ll soon discover that you’ll have to also pay for closing costs. Closing costs are necessary in order to complete a real estate transaction. Closing costs are also something you’ll have to pay when refinancing your mortgage, so it doesn’t just apply to first time home buyers. Because you’ll technically be getting another loan, you will have to pay the loan related fees. It won’t be as expensive as when you first purchased the home, but refinancing your mortgage will cost you some money, so be prepared. Closing costs for refinancing typically cost about $4,000. Closing costs are typically 2%-5% of the home purchase price so it isn’t one flat fee, it is entirely dependent on the house you wish to purchase. If your home is selling for $450,000, you will pay $9,000 to $22,500 in addition to your 20% down payment. Closing costs are made up of a variety of different fees and may include loan origination fees, discount points, appraisal fees, property taxes, credit reports, etc. Within 3 business days of applying for a home loan, you will receive a Good Faith Estimate (GFE), which will provide you with a breakdown of all the closing costs. If you want to know the breakdown of closing costs before meeting with a lender, keep reading. An origination fee is a fee for processing a new loan application that is paid up front. An origination fee isn’t a flat fee and will usually cost between .5 and 1% of your mortgage loan. If you have a large loan amount, you may be able to negotiate with your lender to lower your origination fee because they will be wanting to do business with you. Whether your loan amount is $20,000 or $100,000, it will require almost the same amount of work from your lender. This also means that if your loan amount is on the lower end, your origination fee might have a higher percentage. As mentioned before, origination fees are something you can negotiate with your lender. The most common way to lower the origination fee is to trade off with a higher interest rate. If you are planning on refinancing or selling your home in several years, this is a good deal. If this is a home that will be a permanent residence, you are better off paying the origination fee up front. During the life of your loan, what you’ll pay in interest will end up costing you more than what you would have paid up front. Discount points are prepaid tax that you pay up front in order to reduce your interest rate. One point costs 1 percent of your mortgage amount, so one discount point of a $200,000 loan would cost you $2,000. Discount points are optional, but if you want to save money in the long run, it might be a better option. An appraisal is when your home is analyzed by an appraiser and checks to see if the value of the home matches the purchase price. The appraiser will look at a number of factors such as the neighborhood area, taxes, the selling prices of nearby homes, etc. Your lender will almost always require an appraisal because it tells them if the house is worth the money they could be loaning you. An appraisal can cost up to $550. Separate from an appraisal, most lenders will also require you to get a home inspection. This is especially the case if you’re getting a mortgage that is government insured such as a FHA Loan. Similar to the appraisal, a home inspection also checks to see that the home is worth the money that is going to be loaned out, but the main purpose is to make sure the home is in good enough shape for everyday living. If the home inspection doesn’t go so well, you might be able to negotiate a lower selling price. 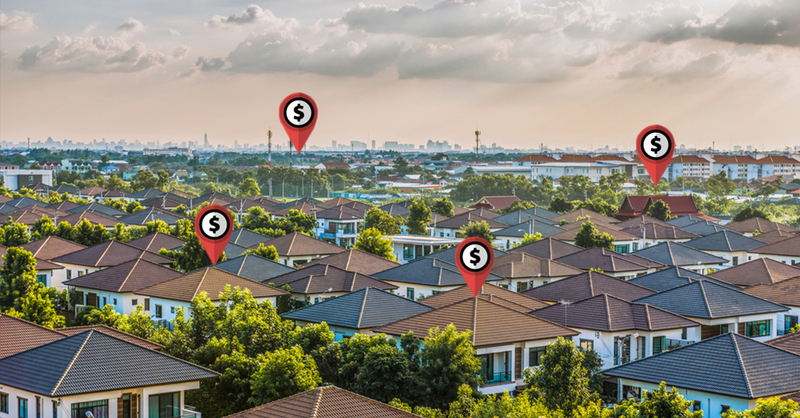 If there are red flags that are concerning, you also have the option to back out of your contract or you can work with the seller on an agreement to fix the reported issues. Home inspection fees typically average out to $300-$500. A tax service fee is around $50 and is paid to a tax service agency to alert the lender if the borrower has any unpaid taxes. If you put down less than 20% for your down payment, that means you got a FHA Loan. With a FHA Loan, you will be required to pay Private Mortgage Insurance (PMI) on top of your mortgage insurance. This is to protect the lender just in case you won’t be able to make your payments. You will have to pay the first month’s payment at closing. In addition to your first month’s PMI payment, you’ll also have to pay your annual premium for homeowner’s insurance and flood insurance at closing. Flood insurance is only required if you live in a flood zone and you’ll also have to pay a fee to determine if your home is in a flood zone. There are a handful of attorney fees that you will have to pay upfront in order to close your mortgage such as filing fees, notary fees, and escrow fees. The filing fee is so that your attorney will file your property information and loan info at your local courthouse, which will officially record your ownership of the property. Filing will also include recording the transferring taxes and documents to your name. The filing fee is typically based on the number of pages recorded and starts at $1.50 for the first page and is cheaper for the following pages. The notary fee is about $10 to notarize your mortgage deed of trust, and the escrow fee (or closing fee) is to pay for your escrow agent’s services for helping you close. The escrow fee is a minimum of $150. Depending on your state, you might be required to have an attorney with you at closing. Different attorneys have different rates and closing can take from 3 weeks to several months, so the fee will be dependent on your situation. The buyer has 60 days to pay the property taxes on their new property. This is simply to reimburse the seller for the property taxes they paid from the date of the sale to the end of the tax period. Property taxes due at closing are typically two months’ worth of city and county property taxes. Most lenders will also have the buyers pay for the prorated interest that was accrued on the mortgage between the date of the settlement and due date of the first monthly payment. Pre-paid interest is depending on your loan amount and your interest rate. Closing costs can be expensive and these can be a surprise for first time home buyers. These are the most common fees that most borrowers will have to pay upon closing. If closing costs are too expensive, there is however another option, and that is a No Closing Cost Mortgage. If you don’t have the money to pay for all of these fees or if you simply don’t want to wait to purchase your home, this is an attractive option. It’s also a great option if you don’t intend on staying in your home for a long period of time. A No Closing Cost Mortgage means that in exchange for no closing costs, you get a higher interest rate. 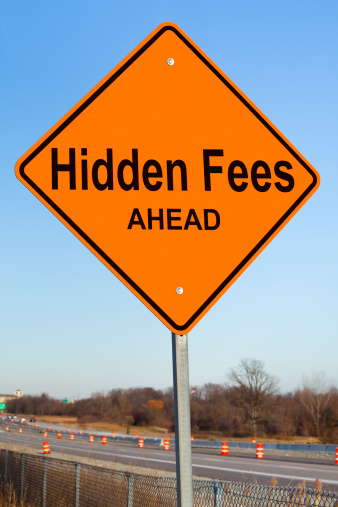 While you don’t have to pay for the fees up front, you will end up paying for them with your monthly payment. If you plan on staying in your home for more than five years, the higher interest rate could end up costing you a lot more than if you had paid for closing costs from the start. Also with refinancing, you can opt to have a higher interest rate in exchange for not paying closing costs with a No Closing Cost Refinance. Since the closing costs associated with a refinance are much cheaper than first time home buyers’ closing costs, it would be better to just pay it up front.